[…] experts are looking to create user-defined intranets rather than a one size fits all approach for Intranet navigation. If we each are all defining a navigation that works for us, a global navigation model quickly fails. […] A bot would provide the best, most direct solution to access content. How much will your intranet project really cost you? […] comprehensive guide to turn-key SharePoint solutions […] full of practical advice on the tools that can give you a quick-start to an intranet. We review 26 of the solutions on offer, using eight common scenarios based on our years of experience in SharePoint consulting. In this blog, we will explore 5 trending intranet homepage features and explore what SharePoint 2013 functionality is available to deliver these. Great Intranets of the Modern Age with James Robertson – YouTube. 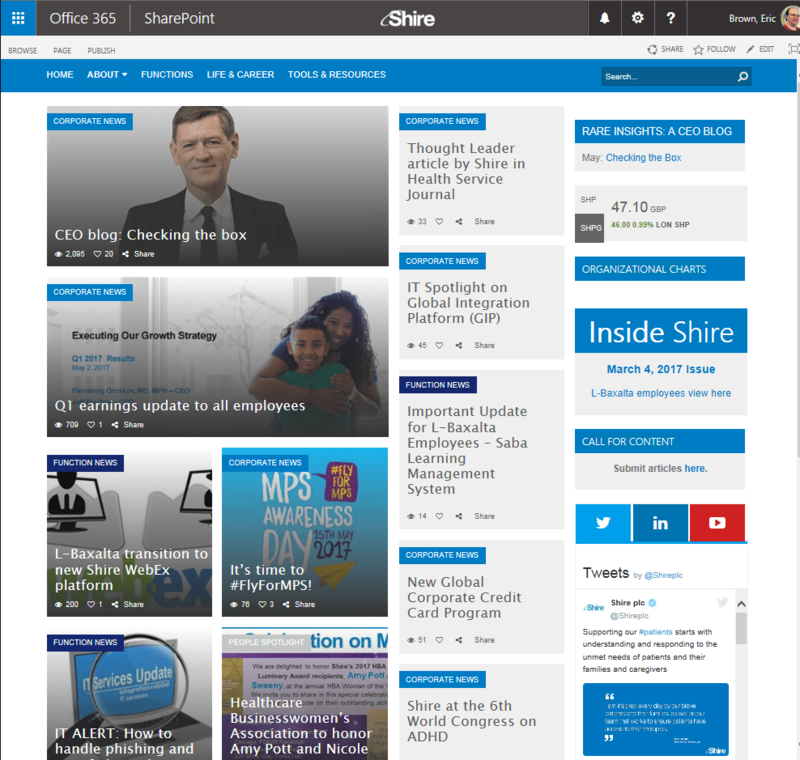 Many real-world screenshots of intranets will be shared, focusing on SharePoint sites and solutions. These include winners from the global Intranet Innovation Awards.